Call for Talent: The Sunshine Performance Club offers villagers the opportunity to fine tune their performance skills; talented performers may become part of a rotating group of volunteers who perform every Friday for one hour at South County Adult Day Services. The information in this video is old but is valid except the group no meets for Thursday rehearsals. If an entertainer needs to rehearse a song with a piano player, rehearsal time must be scheduled with one of the group's piano players at their home. Currently the piano players are Kathy Arndt, Mark Hochberg, Jackie O'Neill or Sunshine Lutey. Call Sunshine for more information. 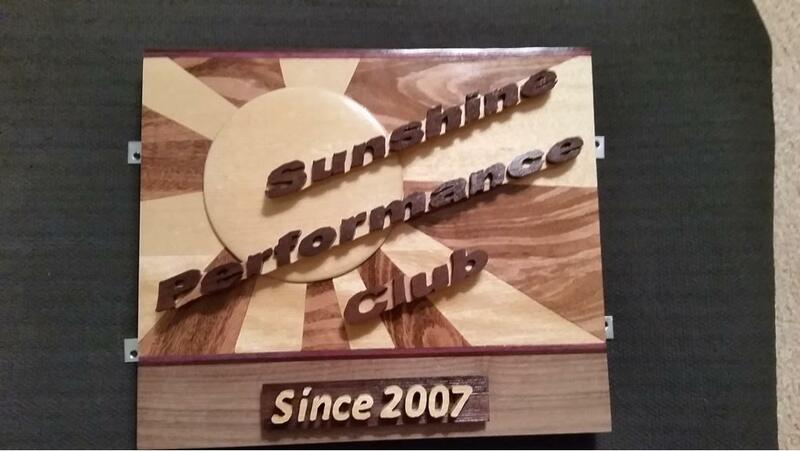 In the past, the Sunshine Performance Club produced community shows in the Performing Arts Center (formerly Clubhouse 3 theater) and the Clubhouse 5 auditorium. This was an opportunity for villagers to put their talents on display for the entire community. Currently, we produce weekly shows for the South County Adult Care Services facility. If singers wish to have piano accompaniment they schedule time to rehearse with one of the available piano players at the piano player's home and schedule the date to sing and the song selections with Sunshine Lutey. The club has a plaque hanging on the pillar at Clubhouse 1 across from the office door.